Why the Massage Business is a Great Industry to be in Now! According to the American Massage Therapy Association 2009 Fact Sheet the Massage Business is an estimated US$14 Billion dollar Industry. Massages are no longer a luxury just for the wealthy. Almost a quarter of adult Americans had a massage at least once in the past 12 months. Americans of all ages and income levels are turning to routine massage for stress reduction, relaxation, sport injuries, complementary therapy, medical treatments, and as part of a holistic wellness lifestyle. MassageLuxe® is one of the fastest growing companies in the massage industry with over 400 franchise units signed and in development. Our unique "multiple levels of individual membership" model ties the client's massage session quality, therapist compensation, and total salon revenue together. Customer referral and Therapist retention are built into the business model and practices. A unique business model developed and refined for two years before launch. Attractive Membership Pricing Structure: with its automatic payment structure is designed to encourage ongoing member participation and visits, to create a steadier, more predictable sales cycle, and to reduce administration time and billing time. 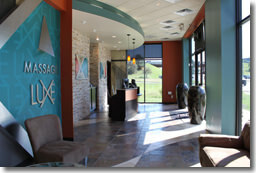 Professional Working Environment: Massage therapists appreciate working at MassageLuxe. In addition to our luxurious design, we provide our professional staff with scheduled and pre-sold massage clients, a quality professional work environment, the finest equipment, linens and supplies. Multiple Revenue Opportunities: we maximize sales through additional potential revenue centers, including gift card/gift certificate sales, retail sales of massage and related products and special events opportunities. Entrepreneurship through franchising is one of the best decisions you can make. Take the first step to owning your own franchise business by completing our contact information form today. Our informative 5-Step Discovery Process is designed to help you get all the information you want to determine if a MassageLuxe business is right for you. The information provided is confidential and will not be shared with a third party. 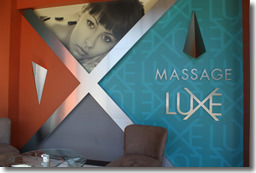 MassageLuxe International, LLC is currently accepting inquiries from the following states: Wyoming, West Virginia, Wisconsin, Washington, Vermont, Virginia, Utah, Texas, Tennessee, South Dakota, South Carolina, Rhode Island, Pennsylvania, Oregon, Oklahoma, Ohio, New York, Nevada, New Mexico, New Jersey, New Hampshire, Nebraska, North Dakota, North Carolina, Montana, Mississippi, Missouri, Minnesota, Michigan, Maine, Maryland, Massachusetts, Louisiana, Kentucky, Kansas, Indiana, Illinois, Idaho, Iowa, Hawaii, Georgia, Florida, Delaware, Washington, D.C., Connecticut, Colorado, California, Arizona, Arkansas, Alabama, Alaska. 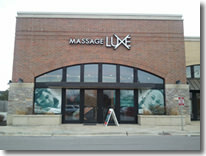 MassageLuxe International, LLC is also currently accepting inquiries from Canada.